Developing and improving your team’s project management skills is always a wise decision. This not only makes them more effective project managers, but it also helps you improve your organization, compete for bigger and better projects, and ultimately increases your bottom line revenue. Are you thinking about earning a project management certification? Earning a certification can take your career to the next level and increase your earning potential. However, there are numerous options out there, each one with its own benefits. It can be difficult to determine what the right option could be for your future. Are you interested in earning your project management professional certification, but you’re unsure how to start the process? 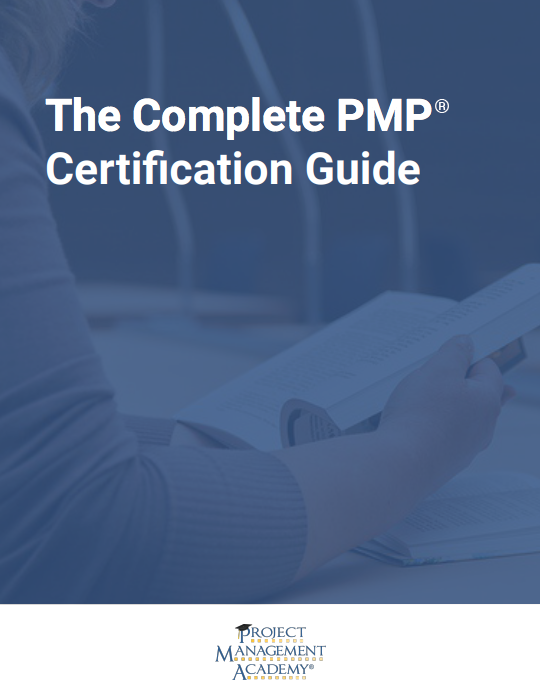 Learn what steps you need to take to become a PMP and subscribe to our blog. Agile is a flexible, streamlined project management approach. Due to this flexibility, numerous Agile software solutions have emerged, each one ideal for a different type of business or team structure. Project management is a complex, ever-evolving forum of methodologies, principles, and best practices. So, it’s little wonder why Project Management Institute (PMI®) asserts that a continuing education is an essential part of a project manager’s professional development. Consequently, PMI requires certain post-exam educational standards be met in order to maintain certification status. These requirements, known as Professional Development Units (PDUs), may seem ill-defined at first glance. In this article we’ll attempt to answer your questions about the quantity, frequency, and availability of PDUs necessary to maintain your certification. In a perfect project management world, all projects would be done on time, within scope, and under budget. But any practicing project manager will tell you the sad reality: things are not always going as planned. In that sense, it’s plausible that conflict will occur at some point in your project’s development. Taking appropriate preventative and corrective action against this conflict will grant your project the highest probability of success. In this article, we’ll explain some tips to alleviate potential project conflict. In this article, we will briefly look at project management as an investment and provide some suggested approaches for turning an investment in project management into big dividends. Becoming a PMI Agile Certified Practitioner takes some work, but the investment of your time and effort will have long-term positive results in your career. Because earning your PMI-ACP requires so much time, you need to know exactly what you’re required to do to earn this certification, so you can plan according to your personal and professional schedule. What is the Scaled Agile Framework? Are you looking for a way to use Agile Methodologies in your business, but your worried your workforce might be too big or too small for some of the common Agile approaches? Fortunately, there’s an answer to finding an Agile framework that works well for any company: the Scaled Agile Framework (SAFe). SAFe is a popular Agile implementation that blends both Agile and Lean enterprise concepts for a scalable approach that enables rapid development of complex software solutions and systems, regardless of the size of your business. Have you dedicated long hours of study and hard work to prepare for the Project Management Institute Agile Certified Practitioner exam? Successfully earning your PMI-ACP is a major accomplishment. But if you want to continue reaping the benefits of holding your certification, passing the exam is not the end of your education. All Agile Certified Practitioners are required to meet specific recertification requirements every three years. When Agile Methodology was first developed, it made waves in the software development space. And, in many cases, Agile continues to be closely associated with the industry.